Being hurt in an accident, regardless of the injury, is not only scary but frustrating. There are so many ways we can get hurt these days from car accident to slipping on a wet floor; it is sometimes hard to tell if we have a personal injury case or not. Some people instinctively blame themselves, while others blame someone else. However, the idea of blame can sometimes be full of grey areas. It is hard to be sure who is at fault in any given case. Luckily, talking to a lawyer can help you sort out the details, and determine if you have a personal injury case or not. Immediately, just about everyone starts to worry about cost when the word lawyer is mentioned. However, many lawyers will meet for a free consultation to determine if you do in fact have a case. If you are living in the California area and have been injured you can contact the folks over at McCune Wright or visit PersonalInjuryPersonalAnswers.com to get more information about a free consultation. This will give you the opportunity to discuss your case with a professional, who will determine the next best action for you. 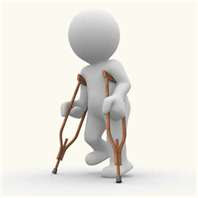 Most likely if you have been injured, you have incurred medical bills, other costs and emotional set backs. It is only fair that you get what you deserve. It does not mean you are money hungry or greedy if you place blame upon the responsible party. You will simply be getting the money you need to right a wrong. And in some cases, there may be no blamable party, but only a lawyer can tell you this for sure.